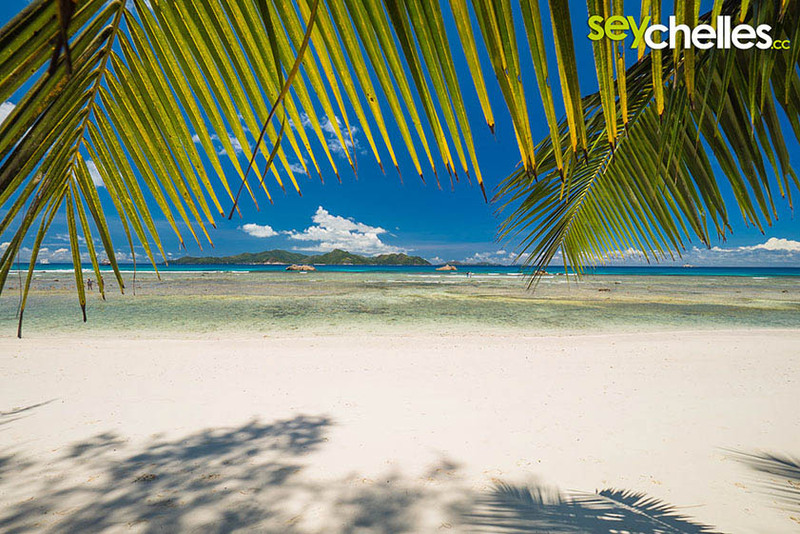 Anse Sévère is an increasingly popular beach close to the northern tip of La Digue. Going there, don´t be surprised to drive right through a hotel. The „Le Domain de L´Orangeraie“ is situated on both sides of the road. At high tide, Anse Sévère is a really nice place to swim. 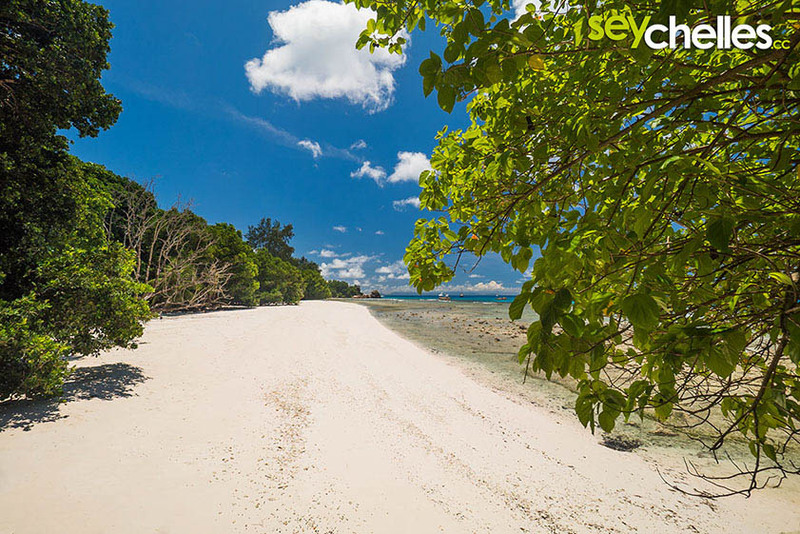 At low tide, the water barely touches your ankles. 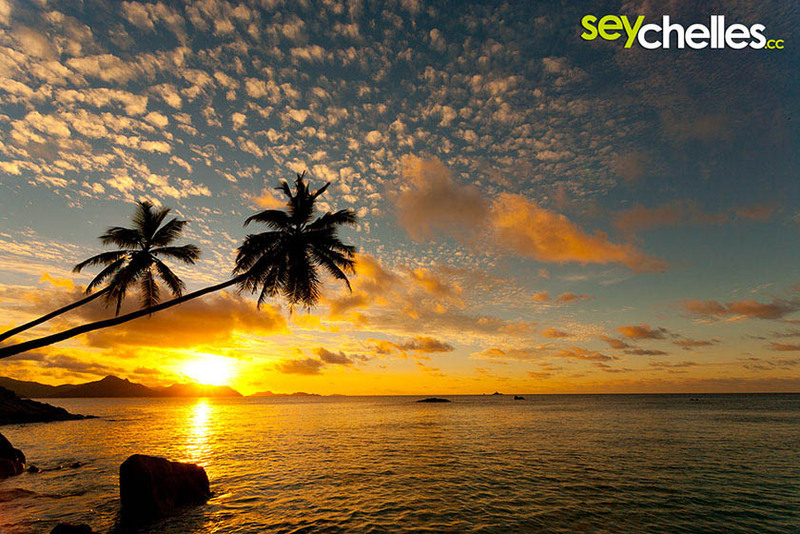 Anse Sévère is one of many examples on the Seychelles, how a few palm trees that used to bend over the beach can change the look of it completely (read more about bending palm-trees) The two palm-trees you see on the sunset image, unfortunately, don´t exist anymore? 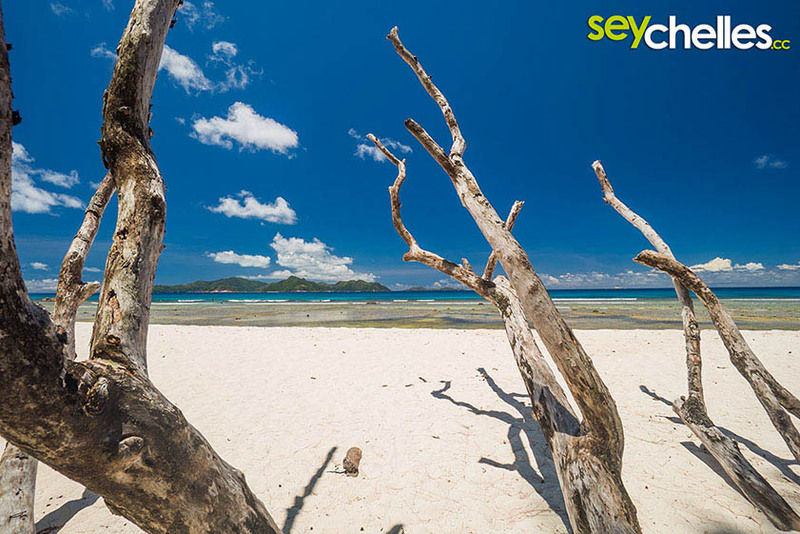 Compared to other beaches, Anse Sévère offers some nice and shady places to hide from the sun and the surf is usually rather soft.